The bookplate collection is arranged in two segments. One is arranged alphabetically by the last name of the owner; the other collection, institutional plates, is arranged alphabetically by the name of the city in which the institution is located. The collection was started by the Reverend Herbert E. Lombard in 1915, and substantial acquisitions occurred within the following decade. Additions to the collection are made quite frequently. 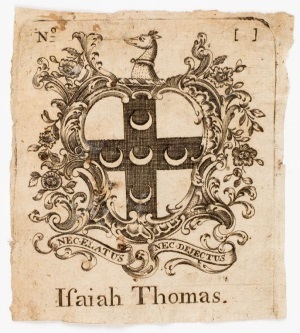 When a book with a new bookplate is acquired, a photocopy is made and inserted into the collection with the provenance of the bookplate. When the Society acquires duplicate volumes, any bookplates are lifted from the duplicate volume and added to the collection. There is no index to the collection by designer, engraver, or printer, although Charles Dexter Allen's American Bookplates (New York and London, 1894) does have a listing of eighteenth-century bookplates that are signed by the engraver. There is an annotated copy of this study housed with the collection of bookplate literature. An article on the collection by Georgia B. Barnhill appeared in the July 1989 issue of Bookplates in the News, a publication of the American Society of Bookplate Designers and Collectors. Another collection that grows in the same manner as the bookplate collection is the group of booksellers' and binders' labels. Arranged alphabetically on index cards, these labels (over 1,500 of them) have been acquired from collectors and book dealers over the years. 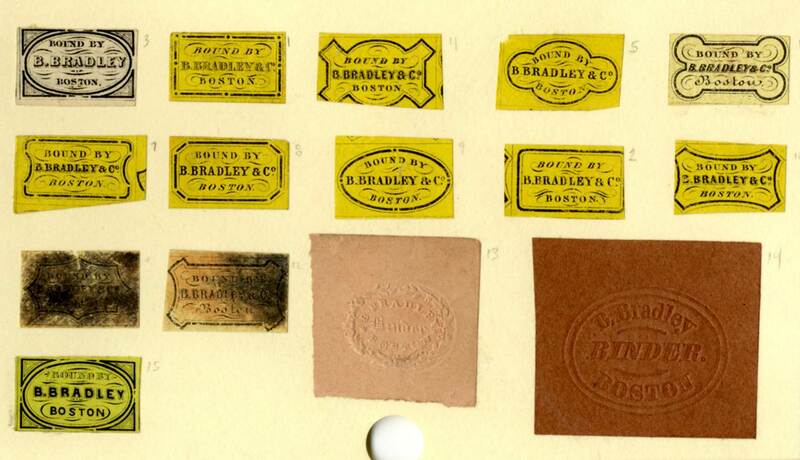 In recent years, it has become routine to photocopy any labels or binders' tickets in volumes and add these to the file, along with information on the provenance of the label. This small but expanding collection provides a source for the names of binders in major urban and rural centers and serves as an index, albeit a very partial one, to signed bindings in the Society's collection. An alphabetical name list for the personal bookplates collection is available (the institutional name list is in process). An inventory, including location, dates, notes, of the personal bookplates collection is available as an Excel sheet. 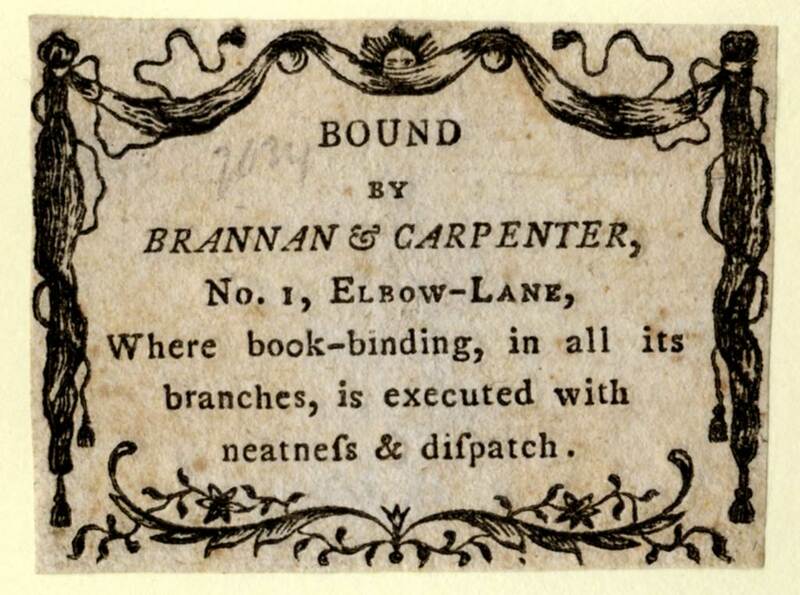 A name list for the booksellers' and bookbinders' labels collection is available. A number of these labels were reproduced in "Book Trade Labels at the American Antiquarian Society" in volume 82 of the Proceedings (1972) with a brief introductory note by Marcus A. McCorison.